The Cotswolds towns and villages have an unfair advantage over other towns and villages in England for the simple reason of their location. What better place to live in than the Cotswolds, the country’s most beautiful Area of Outstanding Natural Beauty? Think of living in the quintessential English countryside paradise filled with rolling green hills, pleasant year-round weather and plenty of opportunities to live the relaxed life with family and friends. Even a short visit to one of these towns and villages will encourage you to explore these places in a more in-depth manner. Wonders upon wonders then begin to be discovered, like an onion being peeled of its layers. Start your discovery with these delightful Cotswolds towns and villages. This is probably the most popular market town in Cotswolds mainly because of its picturesque High Street, which is unlike any conventional main street. It is surrounded by long wide greens while the stately River Windrush runs through these greens, thus, making for a beautiful sight. 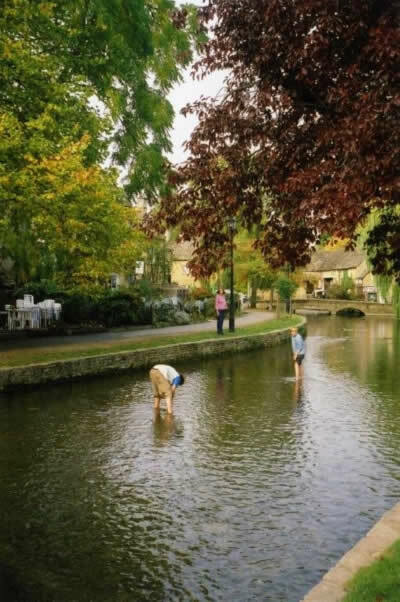 Along with the river itself and the arched bridges, the market town is aptly known as the Venice of the Cotswolds. Cotswolds District’s largest town, Cirencester is well-known for many attractions that draw in the crowds, year in and year out. Among these attractions are the Royal Agricultural College, the Corinium Museum and the Church of St. John the Baptist. The garden landscape of the Cirencester House is also a must-see simply because it is the finest example of its kind in England. Yet another of the must-visit Cotswolds towns and villages is Chipping Camden, a small market town in Gloucestershire. One of its major draws is the beautiful terraced High Street lined with equally beautiful honey-colored limestone structures. Don’t forget to visit the St. James wool church, the Court Barn and the Hidcote Manor Garden. Located just 3 miles east of Chipping Campden is the village of Paxford. The village is picturesque just as any Cotswolds village should be but this is a hardworking English settlement, too. Good food and good company can be enjoyed at the inn. The seemingly haphazard layout of the houses and cottages of Bisley is one of its charms. Don’t be fooled by appearance because the people of Bisley certainly know how to live a good life and you will be infected with their cheer. The best way to discover the beauty of Cotswolds towns and villages is to take a drive through the countryside, with or without a map in hand, and just enjoy the wonders of the people and places that you end up along the way.